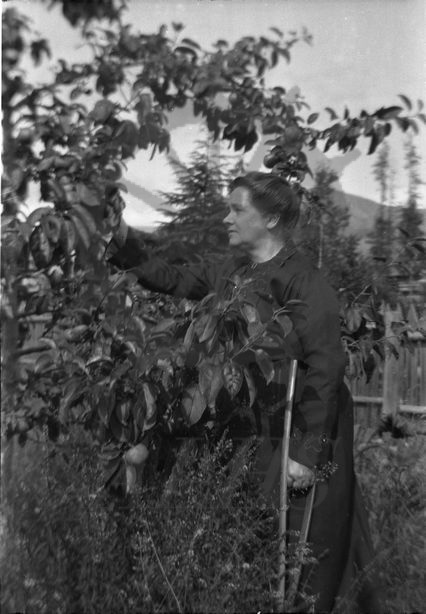 Emily Slade tending to tree in her garden, West Demars, ca. 1920s. Slade walked with crutches by this time due to crippling arthritis and would relocate to Vancouver in 1930 following her husband's death.